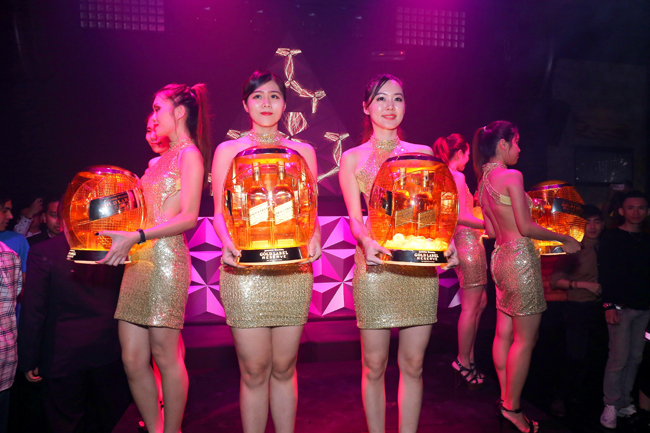 Johnnie Walker Gold Label Reserve presents a differentiated and inspiring nightlife experience like no other ! 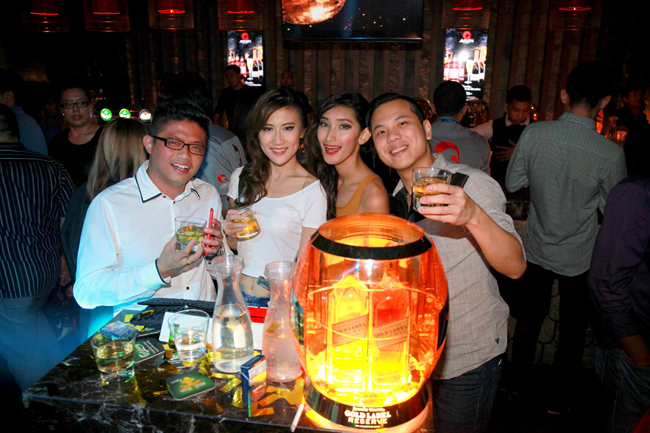 KL, 23 Dec 2015 – The perfect blend for celebratory occasions, Johnnie Walker Gold Label Reserve, has recently kicked off its first series of exclusive parties, The Celebration Lounge at Avalon Club Lounge @ Trec KL. 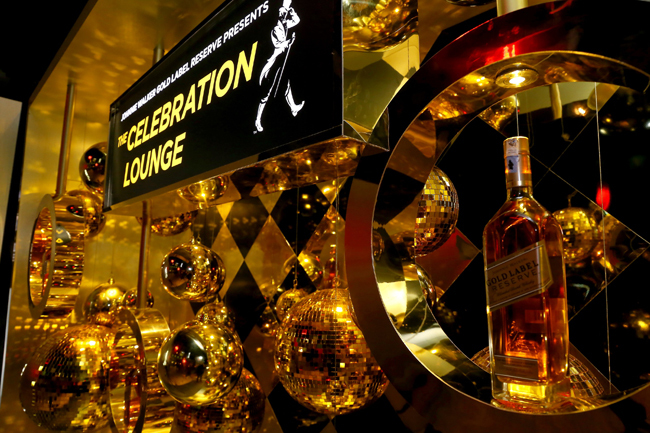 The perfect blend for celebratory occasions, Johnnie Walker Gold Label Reserve, has recently kicked off its first series of exclusive parties, The Celebration Lounge, transforming the venue into a glitzy arena with a touch of class. As the sky darken, the venue was transformed into a glitzy arena with a touch of class, elevating the ambiance with gold-themed elements and décor that exudes sophistication. Together with their closest friends to celebrate their golden moments, their sense of sound, sight, taste and feel were heightened upon stepping into The Celebration Lounge for an unforgettable partying experience. Johnnie Walker Gold Label Reserve introducing a new serving ceremony featuring a glowing centrepiece of its own, along with two bottles of the perfect blend for celebrations to elevate the guests’ experience when savouring its flavours. The music experience of the invited guests at the party was amplified by the renowned DJ Nicole Chen from Singapore, as well as the in-house DJs of the night, magnificent performances that were gracefully-choreographed, while enjoying a glass of Johnnie Walker Gold Label Reserve in hand. DJ Nicole Chen from Singapore spinning to an eclectic mix of music at the Celebration Lounge. Understanding that consumers constantly look for new ways to experience food and drinks, the perfect blend fit for celebrations also introduced a new serving ceremony during the night out. A glowing centerpiece of its own, along with two bottles Johnnie Walker Gold Label Reserve, were presented sophisticatedly to the guests of the night. With an extraordinary serve as such, the stunning moment instantly elevated their experience when savouring the flavours of the blend. The guests having the time of their lives while enjoying the taste of Gold Label Reserve at the Celebration Lounge. In line with Johnnie Walker’s biggest campaign in the brand’s history – Joy Will Take You Further, which will be launched locally this month, The Celebration Lounge aims to bring consumers on a progressive journey of a distinguished nightlife experience that is unrivalled and exclusive, as entrance to these luxurious affairs is by invitation only. The Celebration Lounge also serves as a commemorative platform where consumers will enjoy a memorable classy night out to rejoice their golden moments with their friends. The guests’ senses of sound, sight, taste and feel were heightened upon stepping into The Celebration Lounge for an unforgettable partying experience.